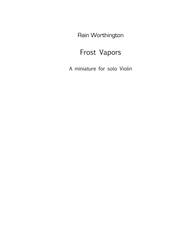 Composed by Rain Worthington. 21st Century, Contemporary Classical, Impressionistic, Repertoire, Recital. Score. 2 pages. Published by SR Worthington (S0.391035). Audio features violinist, Eva Ingolf. 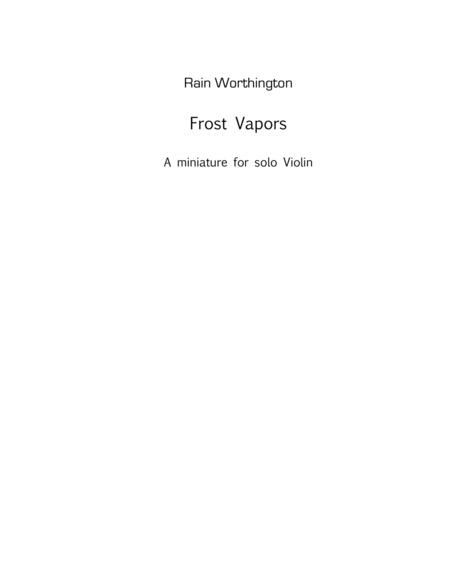 https://soundcloud.com/rain-worthington/frost-vapors-a-miniature-for-solo-violin.